The 2016 SCLA Annual Conference will be November 9-11 at the Mariott in Downtown Columbia. The final Conference Program is now available! Be aware that times and sessions are subject to change. Conference Session Tracks This is in 11x17 format. Full Session Descriptions This document lists the unabbreviated session descriptions. It will not be available in print at the conference. Online and mailing registration is now closed. Please register in-person at the conference. For information only-mail-in registration form. The List of Poster Sessions for the 2015 conference is now available! Be sure to visit the posters and presenters Friday morning, 8:00 a.m.-9:00 a.m. and vote for your favorite! The call for conference program proposals is now closed. Celebrating its 100th year, the South Carolina Library Association (SCLA) invites you to participate in the poster sessions exhibit. Poster sessions are an effective visual forum for exchanging information, a means to communicate ideas, research, and future trends, and a great way to highlight successful library programs and services. Poster Session Proposal Deadline: August 31, 2015 The deadline for poster session proposals has now passed. Viewer’s Choice Competition: All posters are automatically entered in the Viewer’s Choice. SCLA conference attendees view and cast up to three (3) votes for their favorite posters during the poster sessions exhibit. Student Spotlight Competition: Only poster session presenters who are currently enrolled in a Master’s program in librarianship are eligible to enter the student competition. Judges will determine a winner in the Student Spotlight Competition from among the entries. Student Spotlight entrants must complete the competition section on the poster session registration form if they would like their poster/presentation to be considered for this award. 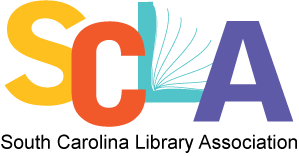 The two winning presenters will each receive a paid one-year membership for the South Carolina Library Association for 2016. Poster sessions may describe an innovative library program or service, present an analysis of a practical problem-solving effort, or report or illustrate the results of a research study. Poster sessions consist of materials such as pictures, data, graphs, diagrams and narrative text. During the conference time allotted for poster sessions, presenters discuss their projects with conference attendees. See attachment for additional guidelines and tips. Confirmed keynote speakers for the 2015 SCLA conference include Marjory Wentworth, Catherine Hakala-Ausperk, and Wiley Cash. “We are excited to welcome influential, nationally known keynote speakers who will be featured at events throughout the conference,” said SCLA President, Crystal Johnson. Learn more about these speakers at the conference schedule page. Substitutions are welcomed at any time. Registration cancellations made in writing and postmarked, emailed or faxed at least thirty days prior to the official start of the conference or workshop will result in a full refund less an administrative fee of $50. No telephone cancellations will be accepted. There will be no refunds of cancellations postmarked after thirty days prior to the official start of the conference or workshop unless there is an extraordinary reason. SCLA 2015 Conference T-shirts for sale! We are excited to announce the availability of T-shirts to commemorate the 2015 SCLA Annual Conference. The T-shirts are available in S, M, L, XL, 2XL and 3XL. The cost is $10 per shirt. If you plan to attend the 2015 Annual Conference on October 21-23 at the Columbia Marriott, you will receive your T-shirt at the registration desk. If you do not plan to attend the conference (we hope you will! ), your T-shirt will be mailed to you. Order your very own SCLA 2015 T-shirt today! Support SCLA and take home a wearable souvenir of the Association’s Centennial Celebration! Vendors…are you looking for opportunities to connect with librarians and potential customers? Reserve your booth today for the 2015 SCLA Annual Conference on October 21-23, 2015! The South Carolina Library Association is celebrating its 100th Anniversary in 2015, and we anticipate drawing a wide variety of library professionals to the conference. As an added bonus, we are including some new opportunities/benefits for vendors this year. Access the Sponsor/Exhibitor Packet to learn more, reserve your booth, and/or sponsor an event. Reserve a room at the conference hotel (Columbia Marriott). Maximize your presence in the South Carolina market by partnering with SCLA through a sponsorship! Many opportunities are available, from general conference sponsorships to individual event sponsorships and more. Help us celebrate our 100th Anniversary milestone while bringing benefits to your company/organization. Access the Sponsor/Exhibitor Packet to learn more about sponsorship opportunities and register to sponsor an event. Please contact the Sponsorships Committee Chair, Nathan Flowers, with any questions.